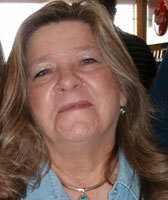 Susan has been a Pueblo resident since the age of 4. She graduated from Pueblo South and CSU-Pueblo with a BS degree in psychology. She has her own tour business "Historic Pueblo Tours ", a walking and power point presentation business. She worked at the Pueblo Heritage Museum and currently serves on their board of directors. She is also a volunteer curator and she does historic presentations to local school children as part of the museums educational trunk program. She has also served on several other boards and committees, the Pueblo County Historical Society and the Goodnight Barn, as well as the South High School Alumni Foundation. Susan loves history and Pueblo. Her unique ideas and dedication make her a wonderful asset to the Goodnight Barn Preservation Committee.